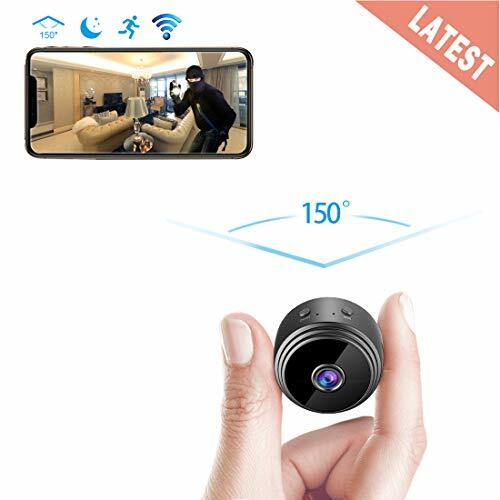 The best mini spy camera is important to keep you aware of everything that might happen in your home or office. They’re a couple of reasons to get a spy camera in your home. It can be for security reasons or just to stay informed of what happens when you’re not around. With the right camera, you will have the peace of mind knowing you can watch over your valuables by live stream any time. Below is a list of the best mini spy cameras that will give you a greater scope on everything happening in the room. 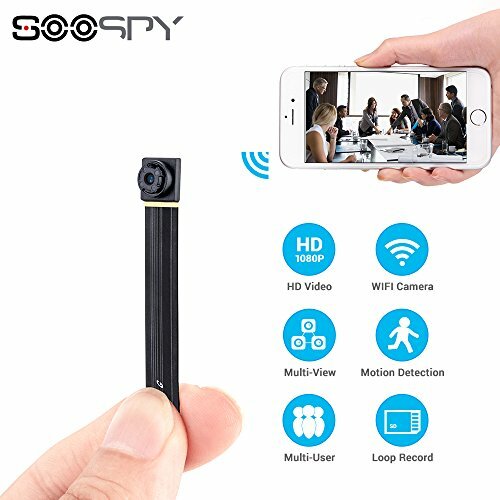 Regarded as one of the world’s smallest portable cameras with eight different style lens buttons makes the SOOSPY mini spy camera a great start for this list. This camera has a high resolution of 1080P at 30 frames to provide high-quality videos and images. In addition, it provides a 140 degrees viewing angle that covers most areas in your room. It is designed with a motion sensor feature that takes recordings and snapshot images once movement is detected. It then immediately sends you a notification on your smartphone for you to be informed. With the Zend mini spy camera, you can now have peace of mind and safety you deserve. 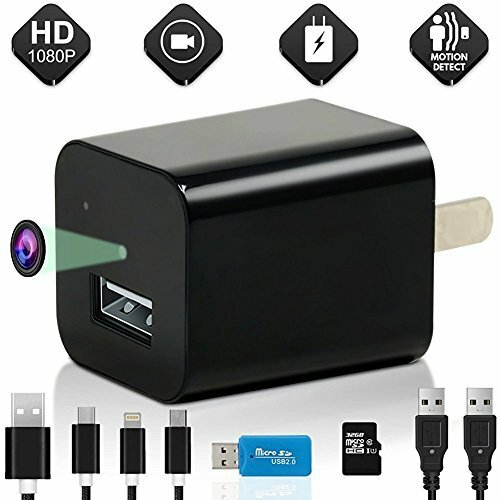 This camera is disguised like any standard looking charger making it unnoticeable once placed in a room. Despite its small size, the camera can provide a 1080P panoramic view enabling you to observe everything in the room. 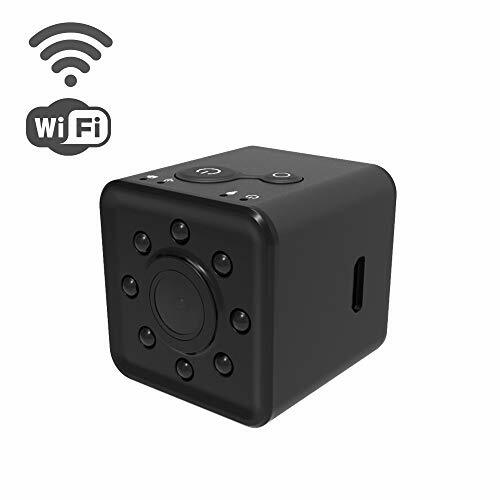 The Zend mini camera is also equipped with a night vision setup that will still provide you with high-quality recordings even with poor lighting. Its motion detector also detects the slightest of movements and immediately notifies you. The mini camera by Enter The Arena is also a phenomenal addition to this list. This camera provides one of the easiest methods of using it. 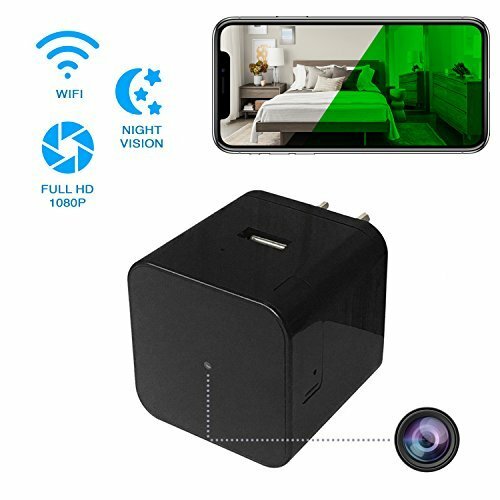 You simply just need to connect the camera to an open AC outlet and it will automatically record. Furthermore, it blends easily in any room making it nearly impossible to detect the camera. This mini spy camera provides a 1080P clarity of the room it’s recording. It also supports a 32GB Micro SD card which when it becomes full, the new videos will overwrite the old ones. Being Amazon’s choice, it definitely deserves a spot in this list. With its high-quality video resolution of 1080P, you get to observe clear video recordings and images throughout the day. This Cam Mall spy camera supports video recording and charging at the same time enabling you to record all day long without interruptions. In collaboration with a free app that you can easily get from Play Store or App Store, you can remotely view the live video through a Wi-Fi network. It also gives you alert on any movements with its motion detection sensors. The Pavlysh mini spy camera is another great option to consider. It is equipped with a high-quality 200mAh lithium-ion battery. If fully charged, it can last up to 100 minutes of HD video recording or one week of motion detection mode. It also supports recording while charging. With the Pavlysh camera, you can enjoy a full HD video surveillance recording even during the night. It is designed with six IR LED light to ensure quality performance even in low light conditions. AREBI mini spy cam is considered among the world’s smallest wide-angle cameras in the market. 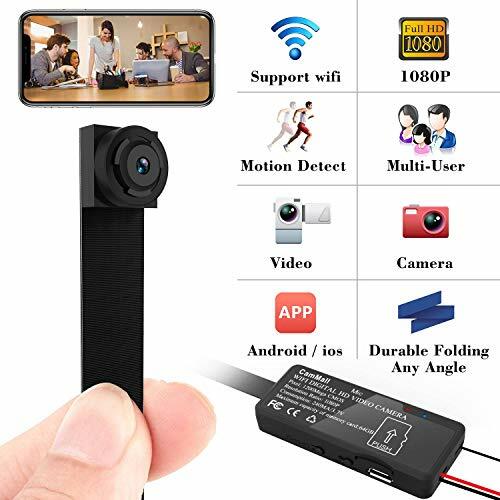 Apart from its 1080P video recording clarity, it also provides you with a 150 degrees viewing angle to capture almost every area of your room. Its compact design makes it easy to hide it anywhere in the room. Besides its built-in rechargeable battery, it supports recording while charging which enables you to stay connected throughout the day. In addition, it has an upgraded motion detection system that alerts you even of the slightest movements in the room. 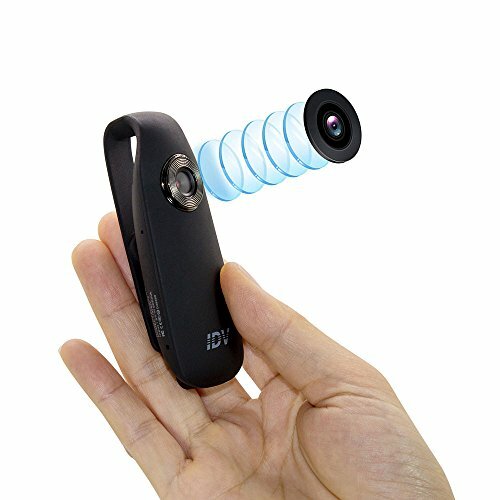 The IDV mini spy camera is notable for its unique design. It is designed with a clip that allows you to clip it in desired areas. It also has an inbuilt magnet that enables you to put the clip on any metallic surface in your room. With its built-in rechargeable battery, it is capable of an amazing standby time of up to three hours of video recording. You can also connect it to an external power bank and remain in the loop throughout the day. It is easy to use and ideal for your home, office, outdoor activities and even while traveling.